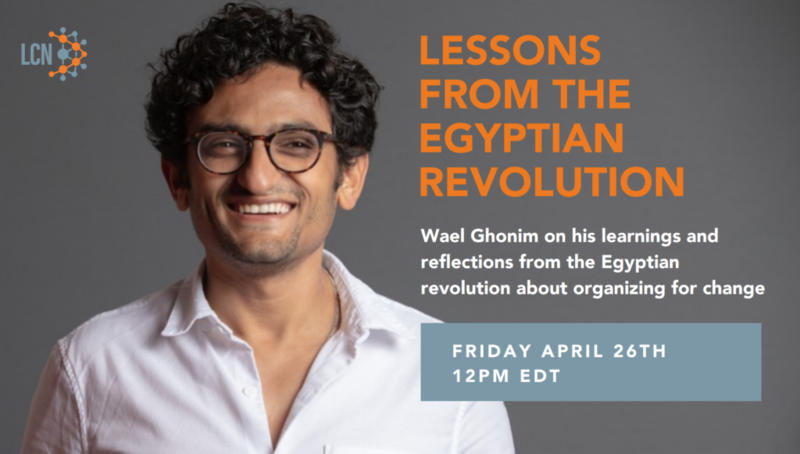 Wael Ghonim is a computer engineer, an Internet activist, and a social entrepreneur. He is best known for his role in the Egyptian revolution that led to the removal of Husni Mubarak out of power in 2011. Wael worked for Google heading their Marketing and Product operations in the Middle East. He is the author of “Revolution 2.0: The Power of the people is greater than the people in power”. He has been reflecting, writing and thinking about social movements, populism, polarization, and the unintended consequences of tech. Email at info@leadingchangenetwork.org for scholarships to attend. Are you an LCN member? Click here to login and register for free.